Growth is a part of who we are at the University of Central Florida. Growth, and the change that comes with it, is woven into our university’s DNA. Ask our students why they came to UCF. It isn’t to stay the same. They came here to grow, to change and to better themselves. Our university embraces the opportunities and challenges that come with strategic growth, and we welcome students who share our passion for improvement. This fall, UCF is home to 53,537 students, the most in our history. We expect to be the third-largest university in the nation behind Arizona State and Ohio State once enrollment figures from around the country are final. Although our size and national ranking are remarkable, our goal is not to be the largest university in the country. Rather, our goal is to provide high-quality students access to a world-class UCF education. A look at our fall freshman class shows that we are succeeding in attracting top students. Fall freshmen boast an average high school GPA of 3.8 and SAT score of 1225, both UCF records. The class also includes 55 National Merit Scholars, a total that ranks UCF among the top 50 universities in the nation. During the ongoing budget crisis, enrollment growth has a financial benefit as well. UCF will receive about $5 million in additional tuition revenue thanks to our growth. These funds will directly help colleges and divisions as they work to minimize the impact of state-mandated budget cuts. Growth can be challenging, there is no question about that. But our growth in size and quality allows the university to draw upon more resources to pursue academic excellence. 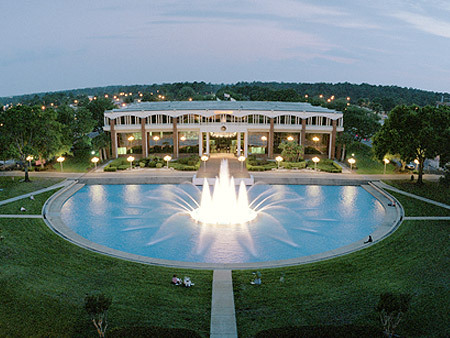 Best 301 Business Schools ranked the MBA program in the UCF College of Business Administration among the nations top 10 best administered programs. Earlier this semester, U.S. News & World Report’s “America’s Best Colleges” guide named UCF as a top 5 national university to watch. UCF also has received attention for academics and research in national media outlets such as NBC Nightly News, The Wall Street Journal, The New York Times, USA Today and The Chronicle of Higher Education. All of these recognitions, and many more, are a tribute to the hard work and dedication of UCF’s talented students and our equally remarkable staff and faculty members. Like you, I am excited about our achievements this semester and look forward to our continued success. Fueled by our commitment to access and growth with quality, I am confident UCF has the opportunity to reach new heights of achievement.